DRP News Bulletin 17 September 2018: How Much of This Drought Is Man Made? Gujarat suffering due to political use of water for elections in 2017. Rajasthan given more water for elections there in 2018. Will Punjab, Haryana suffer now? Kerala drought: how much could have been reduced if dams were operated more prudently? North Interior Karnataka is suffering, but Krishna basin dams are almost full? Issue of unsustainable cropping patterns, groundwater overuse, and neglect of recharge & regulation? Kutch and North Gujarat are likely to face severe water scarcity this year, officials said. The Kutch region has received a mere 26.51 percent of average rainfall so far, while North Gujarat has received 42.93 percent, central Gujarat 66.83 percent, Saurashtra 72.20 percent and South Gujarat the highest 94.79 percent. However, the Sardar Sarovar Dam is filled up to 125.82 meters, and it can provide drinking water for the entire state till the next summer, the govt said. As per Govt. storage in Sardar Sarovar Dam on the Narmada, which will be enough to meet the state’s need for drinking water through the next summer. The Narmada water will also be used to fill up empty dams in Saurashtra including Aji 1, Macchu 2, Vadod and Ankadia through the Sauni scheme, officials said. “The state govt will provide 20,000 cusecs water for the next 20 days to save the crops in water-starved areas,” Deputy CM Nitin Patel told reporters in Gandhinagar said. “We plan to fill up 400 big and small ponds in North Gujarat by Narmada water through canals and pipeline network of the Sujlam Suflam scheme,” he said. Rajasthan Rainfall deficit in many districts As per IMD, Badmer district of Rajasthan has received rainfall 48 percent below normal till Sept. 16. Similarly rainfall deficit in Hanumangarh 58 percent so far. Jallor district is facing maximum rainfall deficit of 60 per cent less than normal. Likewise the rainfall in Pali district is 35 per cent below the normal and in Jaislmer is facing a rainfall deficit of 38 per cent. In Western Rajasthan it rained only 193 mm during entire monsoon season causing a deficit of 24 per cent below the normal. Karnataka Rain-deficit 23 districts declared drought-hit Of the 30 districts across Karnataka, 23 districts have been declared drought-hit due to deficit rainfall in the monsoon season, an official said on Sept. 12. According to IMD data, the cumulative seasonal rainfall across the southern state was minus 2 per cent from June 1 to Sept 12, with coastal areas recording 3 per cent above normal, and south interior region 7 per cent above normal, while north interior area posted 26 per cent deficit. “Though the monsoon (June-Sept) was near normal in coastal, south interior and Malnad regions with record rainfall causing floods in seven districts, deficit-rains forced the state govt to declare 23 districts drought-hit,” an official told IANS in Bengaluru after a review meeting. “The fall in water levels in the rivers and wells is an indication of the escalation of the runoff due to the decline of natural conservation areas in the region,” said Dr P.V. Dinesan, the Senior Principal Scientist and Head of the Geomatics Division of the Centre for Water Resources and Management. “It’s possible that the high velocity of water outflow from rivers during the floods might have led to the present situation,” he said. On an average, the runoff can happen in a span of between 48 and 72 hours, he said, acknowledging that the dry spell has led to falling water levels in rivers and wells, and that this has been reported from across the state and in a preliminary survey of Kozhikode district. It is not an indication of impending drought, Dr Dinesan cautioned. “We need to undertake a detailed study of the groundwater resources are under severe stress too, due to the decline of forest cover. Senior officials at the IMD in Thiruvananthapuram confirmed that the state received very little rain since the beginning of Sept. with weekly rainfall from across the state, between Aug 30 -Sep 5 a mere 7.9 mm, when the area usually receives about 56 mm during the same period. With mercury levels rising and abnormal drying up of rivers and wells reported in flood-hit Kerala, the state govt has decided to conduct scientific studies on the post-flood phenomenon in the state. CM Pinarayi Vijayan has directed the State Council for Science, Technology & Environment to carry out studies on the phenomenon after floods across the state and suggest possible solutions to the problems. A Down to Earth report points out how, over the past few years, flood-drought cycles are becoming both more common and pronounced in the country. This year, 86 districts in the country are facing >40% rainfall deificit—50 are experiencing a 40-50% deficit, 23 face a 51-60% deficit, 10 a 61-70% deficit and three face a >70% deficit, with Dhemaji in Assam reeling under 88% less rainfall. SANDRP Blog Overview of CWC Flood Forecasting Sites in West India The 5 states of West India, namely Rajasthan (30), Gujarat (34), Madhya Pradesh (40), Maharashtra (67), Goa (2) thus have total of 173 sites on CWC’s FF website. These are comprised of 17 Level Forecasting, 130 Level Monitoring and 26 Inflow Forecasting sites. Out of 173 sites, 11 sites including 2 Level Forecasting, 6 Level Monitoring and 3 Inflow Forecasting sites are inactive. Bihar’s Chhapra is flooded due to overflowing of Sarayu River following heavy rainfall. The water level of Sarayu River increased following heavy rainfall causing flood-like situation in the southern district of Chhapra. Water logging is damaging the crops. DAM FLOODS Arunachal Pradesh, Assam battling floods again Incessant rainfall coupled with release of dam waters has resulted in flash floods and landslides in parts of Assam and Arunachal Pradesh. – Heavy rainfall in Arunachal Pradesh has led to the swelling of the Siang river upstream, thus affecting the New Siang and Lali rivers and other tributaries of the Brahmaputra. – Meanwhile, in Lakhimpur district, the release of waters from the Ranganadi dam by NEEPCO over the last 24 hours has flooded a number of villages. “This has been caused by a combination of heavy rains and release of dam waters. The gates have been open, and water has been released several times,” says an official of the Lakhimpur district’s disaster authority. URBAN FLOODING Govt to rope in NIUA to look into causes of urban flooding Important about Urban flooding, its local causes and proposal that it be dealt at Ministry of Urban Affairs level. In the wake of the recent floods in Kerala, the Ministry of Housing and Urban Affairs is set to rope in the National Institute of Urban Affairs (NIUA) to chalk out ways in which the ministry can take charge of prevention and mitigation of floods in Indian towns and cities. The move is part of attempts by the ministry to belatedly set into motion the national guidelines on management of urban flooding issued by the National Disaster Management Authority (NDMA) expert panel in 2010. The NDMA panel, set up in the wake of the 2005 Mumbai floods, held that urban flooding is a phenomenon distinct from rural flooding. Hence, the panel said, it needs to be dealt with by the ministry in charge of urban affairs through an urban flooding unit headed by an officer at the level of joint secretary. Why Do Delhi Roads Get Water-Logged? By Sohail Hashmi Unplanned urban expansion has ignored factors such as natural slope of land. Flow of water cannot be regulated easily and hence, planning in necessary to ensure that flooding does not occur. The major sites of water logging are the areas where the city has expanded in a haphazard manner in the immediate post-Partition period and then in the nightmarish eruption of urban growth beginning in the mid-1960s. The principle is simple and has been followed across the world for centuries, even millennia, by those who planned cities. The principle is born of common sense. Locate your city on elevated ground and never in a depression. Do not locate your city in a floodplain, do not build residences, institutes, laboratories, workshops, factories. In fact, do not build in low lying areas, period. We have thousands of engineering colleges, universities offering courses in civil engineering and other institutes of planning and architecture. How many of them offer a course in geography? How many sensitise future town planners of the need to understand the general slope of the land understand the porosity of the soil they are going to be building on, the way alluvial soil and rocks behave in an earth quake? How many architects and town planners working with DDA, NBCC, HUDCO, HUDA and other Central and state government agencies designing huge residential, industrial, commercial, institutional complexes factor these elements in their plans? What about those working with major real estate conglomerates and the countless fly-by-night, get-rich-quick real estate sharks? HERE IS AN EXCELLENT REPORT ON UNDERSTANDING AND DEALING WITH FLOODS, BASICALLY LIVING WITH THE FLOODS. He and his team observed nearly 100 landslides in the upper reaches of the Ghats. Open blasting while quarrying sent tremors through charnockite rock, “shaking the parent material”, and compromising its integrity. When the rain came, the mass became increasingly unstable until it finally slipped down the slopes into river- and stream beds, swelling them further. 2. The second, he says, is the wholesale destruction of wetlands. Up to 15 per cent of Kerala originally comprised wetlands. They’re being destroyed on a massive scale. Had they been standing, they would have absorbed some of the excess water which would eventually have flowed out to the sea. Even paddy fields usually acted as lakes to trap water, which then would flow out to sea. But in this case, Joseph says, that didn’t happen because the fields were construction sites in the state’s mass conversion to other land uses. -According to Aqueduct Global Flood Analyzer (AGFA 2017, as referenced by the paper) from the World Resources Institute, a “web-based interactive platform which measures river flood impacts by urban damage, affected GDP, and affected population at the country, state, and river basin scale across the globe”, India stands at number one, with 4.48 million people exposed to river floods, followed by Bangladesh with 3.48 million and China with 3.28 million. The cost of GDP from flood risk is $14.3 billion, followed by Bangladesh at $5.4 billion. India’s loss of GDP is 15 per cent of the global total. Kerala’s major dams filled up halfway through the monsoon, raising questions on dam management THIS IS EXACTLY WHAT SANDRP HAS BEEN SAYING: “A study for the water resources ministry, by a team from CWC pointed out that many of Kerala’s major dams were filled to the brim even ahead of the torrential rain in August. This finding highlights again the state of dam management in India and its role in exacerbating the damage from floods. Kerala suffered devastation following extraordinary rainfall in the first three weeks of August. Floods were perhaps an inevitable outcome of this scale of precipitation. – UN chief Antonio Guterres cited the recent devastating floods in Kerala and last year’s hurricane in Puerto Rico as he issued a grave warning about consequences of inaction over climate change and called for more leadership and greater ambition for climate action. Amid debates over the ability of concrete reservoirs and check dams to withstand floods, the govt has fast-paced its efforts to introduce rubber check dams in the state. It is learnt that the Revenue Department plans to set up four rubber check dams in varying terrains including highland, midland and lowland. The proposed project, to be executed with the technical expertise of the Thane-based Indian Rubber Manufacturers Research Association (IRMRA), will be supervised by a nine-member committee chaired by the Revenue and Disaster Management Principal Secretary. Study Role of air pollution in erratic monsoon in India THE ERRATIC behaviour of monsoon rainfall, including the phenomenon of concentrated heavy rainfall on a small number of days, could, at least in part, be attributed to the rising air pollution, especially the increase in suspended particles in the atmosphere, a new study by scientists from IIT Kanpur has said. The study, published in the prestigious journal, Nature Communications, on Friday has shown how excess aerosols, suspended solid particles like dust, smoke and industrial effluents, in the atmosphere is changing cloud patterns, its shape, size and other properties like temperature, which in turn is resulting in variability in rainfall over the Indian sub-continent during the monsoon season. Karnataka Girls splashing about in Shalmala, a free flowing river in Western ghats with a conservation reserve. Local communities fought to ward off a hydel project which would have submerged this very place. Beas basin cumulative impact assessment. Renuka Dam in Himachal Pradesh for amendment to Env Clearance. Mullaperiyar dam: to replace old dam, from Kerala. For TOR. Uttrakhand Report on state of soil erosion Unfortunately it is not critical of Chardham All Weather road, does not even mention impact of massive hydropower interventions, nor about blasting being done even for road construction. Indian scientists have developed a soil loss map of Uttarakhand that will help pinpoint areas battling soil erosion and the degree of severity of top soil loss brought on by a combination of both human-induced and natural factors. Close to 50 percent of the state’s area is above the tolerance limit of soil loss. Sheet erosion and landslides contribute substantially to soil loss resulting in the decline of productivity of agricultural land. Himachal Pradesh Bhakra capacity down, BBMB may dredge dam bed, sell silt With water storage capacity at the crucial Bhakra Dam reduced by almost one-fourth due to inflow of silt, the Bhakra Beas Management Board (BBMB) will explore options to dredge the reservoir bed and use the excavated silt for agricultural or industrial purposes. National Water in major reservoirs up 30%, but North lags behind Overall water storage in major reservoirs in the country is around 30% higher this year as compared to 2017 while water availability is lower by 10-12% in the northern region vis-à-vis last year. Telangana Smaller irrigation structures more beneficial Among the most important reasons for deciding in favour of smaller projects is elimination of damage caused to environment. It is a known fact that larger projects cause irreparably huge destruction to the environment and lose their efficacy within a few decades of going operational. A parallel can be drawn between the heritage diversion scheme and the Chanakha-Korata barrage coming across the Penganga river in order to get a clearer picture. Both Sadarmatt and Chanakha-Korata have a designed ayacut of 13,000 acres but the latter is being constructed at a cost of whopping about ₹ 300 crore and the former can be built for as less as ₹ 30 or ₹ 40 crore even in these times. Gujarat Check dam construction scam unearthed in Bodeli ACB has unearthed massive scam in building of check dams built in financial years 2012-13 and 2013-14 under Sukhi Reservoir Irrigation Project-2. Initial probe reveals involvement of many govt depts for issuing crores of rupees on forged documents in the name of NRIs & illiterate farmers for hundreds of check dams in Bodeli Taluk which were never built. The irregularities came to light when the intelligence officers of ACB checked documents of 131 weak check dams in the district on Sept. 7 and took random statements of two farmers who were served notices by the department for weak check dams. When the officials took statements of two farmers of Kandewar and Navapura villages of Bodeli taluka, who were among the beneficiaries, it was known that the check dams were never built and everything was only on papers. Later, investigation also revealed the then officials of the irrigation projects had allegedly forged signatures of those persons who are living in foreign countries and of farmers who are illiterate. Tamil Nadu Check dams in district teetering on the edge Check dams constructed on rivers and waterways in the Coimbatore district are crying for attention. While good rainfall last monsoon had brought a good inflow in several waterways across the district which could have been used to recharge groundwater levels, the bad shape of several check dams played spoilsport, say farmers and environmentalists. Check dams in the district are constructed over Noyyal and Kousika rivers and on streams. The dams are mainly constructed by the public works department (PWD). The dams, whose main function is to recharge ground water levels by checking the flow of a river or a stream, are constructed such that their zone of influences is felt for a radius of 500 m around it. Farmers and environmentalists cite the lack of periodical inspections and maintenance as the reason for the sorry state of check dams. While several check dams are silted up, which brings down their water holding capacity, others have developed leaks, and breakages of dam walls. Secretary of Kousika River Development Association P K Selvaraj said regular inspection and maintenance of check dams have not been happening. “Check dams not only help in recharging groundwater levels, but also help to nourish bio-diversity of an area. As we get good rainfall only once in 5 years now, it becomes necessary to maintain check dams properly to conserve water and recharge groundwater level,” he said. However, a PWD official said lack of funds was the reason for them not being able to maintain and repaired check dams. “We get an annual fund of around Rs 10 Lakh to Rs 20 lakh under the common ambit ‘Noyyal River System’. Our top priorities are desilting channels are repairing shutters and sluices of tanks. So, we are left with little or no funds to maintain check dams,” a PWD official said. Farmers from Kurumbapalayam village in Madukkarai taluk have encountered deterioration of not just one but three check dams in their region. In Sept. 2017, because of heavy rain the wall of the check dam on the Periyapalayam stream, which flows from Arivoli Nagar to Kurumbapalayam and then goes to Kerala through Velanthavalam, was damaged. This led to the breaking of the walls of 3 successive check dams on the stream, which were constructed around 1970. The check dams in Kurumbapalayam North, Kurumbapalayam South and Palathurai have broken, the villagers said. 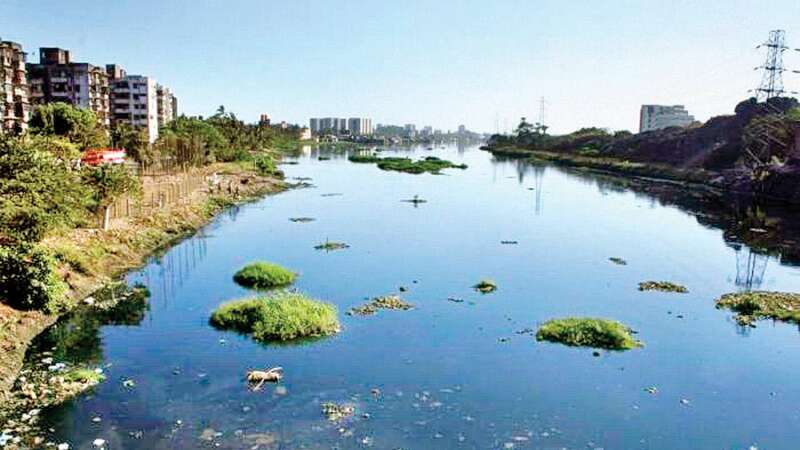 Mithi, Maharashtra Revamp proposal held back by standing committee of BMC Following 2005 Mumbai deluge, a comprehensive plan to restore the city’s choked water body was undertaken with the formation of Mithi River Development and Protection Authority (MPDPA). The work involves the 17.83-km-long river’s rejuvenation by deepening and widening and beautifying it. Tapi, Gujarat Ban on Immersion of idols to save Tapi river Gujarat high court has issued guidelines for idol immersion ahead of Ganesha Visarjan and issued directions to the state authorities to keep the rivers clean by not allowing any idol immersion in them. It has asked state authorities to follow the idol immersion guidelines issued by court in 2014 and issued by CPCB in 2010 for all religious festivals. It will be for the first time in the history of Surat city that no idol of Ganesha will be immersed in Tapi River at the conclusion of the 10 day Ganesh Utsav festival on Sept. 23. City police commissioner and Surat Municipal Corporation had announced ban on immersion of idols in the river on Sept. 15 to implement the directives of the NGT and CPCB. According to an assessment by the Central Pollution Control Board (CPCB), the number of polluted stretches in India’s rivers has increased to 351 from 302 two years ago, and the number of critically polluted stretches — where water quality indicators are the poorest — has gone up to 45 from 34. The CPCB says several of the river’s stretches — in Bihar and Uttar Pradesh — are actually far less polluted than many rivers in Maharashtra, Assam and Gujarat. These three States account for 117 of the 351 polluted river stretches. Based on the recommendations of the NGT, the CPCB last month apprised the States of the extent of pollution in their rivers. The most significant stretches of pollution highlighted by the CPCB assessment (which is yet to be published) include the Mithi river — from Powai to Dharavi — with a BOD (Biochemical Oxygen Demand) of 250 mg/l, the Godavari — from Someshwar to Rahed — with a BOD of 5.0-80 mg/l; the Sabarmati — Kheroj to Vautha — with a BOD from 4.0-147 mg/l; and the Hindon — Saharanpur to Ghaziabad — with a BOD of 48-120 mg/l. In its compilation of polluted stretches in Uttar Pradesh, the Ganga with a BOD range of 3.5-8.8 mg/l is indicated as a ‘priority 4’ river. The CPCB, since the 1990s, has a programme to monitor the quality of rivers primarily by measuring BOD, which is a proxy for organic pollution — the higher it is, the worse the river. In its 2015 report, the CPCB had identified 302 polluted stretches on 275 rivers, spanning 28 States and six Union Territories. Currently, the CPCB has 1822 monitoring stations on rivers and 473 on lakes/ponds/tanks. “We have used about 500 more monitoring stations in our 2016-2017 assessment than for the previous exercise (2008-2012). A priority 1 river may show high pollution but it also means more resources for clean up, whereas a priority 4 can mean achieving a clear river with relatively fewer resources,” he said. Himachal Pradesh Govt forms STF to check pollution in Ghaggar tributaries After NGT Aug. 7, order, the state govt has constituted Special Task Forces (STFs) at the state and district levels to check discharge of effluents in into the tributaries of river Ghaggar. The NGT, in its order, had directed the chief secretaries of Haryana, Punjab, Himachal Pradesh and Chandigarh to form STFs to deal with the pollution in the said river within a month. A three-day interaction on issues pertaining to the pollution and augmentation of flow in the Ganga, began on Sept. 16 even as indefinite hunger strike by veteran activist G D Agrawal for the cause of the river continued in Kankhal-Haridwar for the 87th day. Meanwhile, irritated over the non-compliance of its order, the NGT on Sept. 10 directed the Uttar Pradesh chief secretary to appear before it on Oct. 10 and apprise it of disposal of e-waste from the banks of the Ramganga river in Moradabad. The order came after the CPCB informed it that a number of sealed e-waste industries were operating illegally in densely populated residential areas. The green panel had announced that anyone found dumping electronic waste (e-waste) on the banks of the Ramganga river in Moradabad would have to pay Rs 1 lakh as environment compensation. The bench, which had noted that Ramganga was highly polluted, had also made it clear that the environment compensation would vary from Rs 50,000 to Rs 1 lakh depending on the quantum of the waste dumped. YAMUNA Delhi CM Seoul Visit Seoul brought dwon freeway to reclaim river WHAT SEOUL HAS BEEN UNDOING TO REVIVE CHEONGGYECHEON RIVER, DELHI IS EXACTLY DOING ALL TO KILL THE YAMUNA RIVER NOW. Also the cementing river banks and stealing water from other rivers is not revival. Cheonggyecheon, a rivulet reduced to a sewage drain in the 1940s, was an urban eyesore and the local govt took the ostrich-like measure of hiding it beneath concrete slabs. 3 decades later, an elevated 12-lane highway was built atop it to further obscure it from public view. Delhi’s Barapullah drain has undergone much the same treatment, with the odiousness of the sewage-strewn water reduced by the construction of the Barapullah elevated road over it. Between 2002 and 2005, the govt dismantled the elevated highway and developed landscaped banks on either side of Cheonggyecheon, and supplemented the river’s intermittent flow with treated water from the Han river. Several decades ago, Cheonggyecheon was an eyesore and the stream was covered with concrete for roads and even public transportation system was later built over it. The Seoul Metropolitan Govt undertook a restoration of the stream in 2005 and renewed it. Cheonggyecheon is an over 8 km-long stream flowing west to east through downtown Seoul, and then meeting Jungnangcheon, which connects to the Han River and empties into the Yellow Sea. Kerala Predatory fish spotted after floods The catastrophic floods that caused widespread havoc throughout the State last month have also released several alien species of fish into waterbodies, raising a threat to the endemic aquatic ecosystem and biodiversity, scientists have reported. A marine fisherman has drowned and three others are reported missing in the fishing vessel capsizes near the turbulent river mouth. The operation to rescue the missing fishermen has failed to yield results so far. Kerala Police step up vigil to protect sand deposits With the floods re-depositing large quantities of sand in the waterbody, the sand mafia has once again reared its ugly head in the Periyar valley. The Ernakulam Rural police are now investigating a few illegal sand mining units that became operational in Malayattur, Kothamangalam and Aluva soon after the floodwaters receded. Miners have already extracted boatloads of sand dumped by the floodwaters on the Parunthuranchi Manalppuram, an islet in the Periyar near Aluva town. The activity, in the absence of strong official action, is set to intensify further in view of a rising demand for sand during reconstruction and development work. Delhi Licensed firms flouting norms, DJB told A sub-divisional magistrate with the Delhi govt has written to an executive engineer in the DJB, alleging that a licensed company has been routinely lifting more sand from the Yamuna riverbed at Sonia Vihar than it can under the licence conditions. The issue was flagged in July and subsequently brought to the attention of the Additional Magistrate of northeast district, who wrote to the DJB and directed it to submit recordings of CCTV cameras installed at the site. Odisha AAI shelves water aerodrome project in Chilika Lake Facing criticism and stiff opposition, the Airports Authority of India (AAI) has dropped the proposed water aerodrome project at Chilika Lake in Odisha. Susanta Nanda, Chief Executive of the Chilika Development Authority (CDA), on Sept. 10, told reporters that the AAI has cancelled the seaplane project in the lake which, if implemented, would have negatively impacted the ecosystem and the surrounding human population at the world’s second largest brackish water lake. Report India’s only wetland cat is under multiple threats Fishing cat is a symbolic species of floodplains, deltas and coastal wetlands of South and Southeast Asia. They have a patchy distribution from Sind in Pakistan to Cambodia. The South Asian countries of India, Nepal, Bangladesh and Sri Lanka hold the core of the global Fishing Cat population. A women’s group in Ladakh is fighting to save the region’s water The Women’s Alliance of Ladakh, while making efforts to protect Ladakh’s environment and preserving its culture, is persuading farmers of the cold desert to practice organic farming and traditional water harvesting as farmers face water scarcity because of low snowfall in recent years. Being a cold desert, agriculture in Ladakh depends on snowmelt and glacier-melt. “Due to the semi-arid condition of Ladakh, glaciers are relatively small and are typically restricted to high altitudes. Despite their small size, the water stored in these glaciers determines the potential for irrigated crop cultivation, which forms the basis for regional food security and socioeconomic development,” said a research paper published in Geosciences journal in April 2017. Tamil Nadu ‘Harvesting rainwater aids groundwater’ Officials of the Chennai Metropolitan Water Supply and Sewerage Board (CMWSSB) inspected the newly-constructed rainwater harvesting structures and maintenance of existing structures at households in six streets in Anna Nagar on Sept. 10. Tamil Nadu Why no action on illegal extraction of groundwater, Madras HC asks collectors Madras high court on Sept. 12 directed all district collectors to explain as to why they failed to exercise their powers and take action against offenders extracting and transporting ground water illegally. Won’t stay NGT order on expert committee inspecting Sterlite plant: SC tells TN The Supreme Court on Sept. 10 refused to stay the NGT order allowing an expert committee to inspect the Sterlite copper smelter plant in Thoothukudi. The appeal was filed by the govt of Tamil Nadu against the NGT’s order. The apex court asked state govt the basis upon which the stay has been requested by the state. The NGT had appointed an expert committee led by retired Chief Justice of Meghalaya High Court Tarun Agarwal to inspect Sterlite’s premises in Thoothukudi, and submit a report regarding its operations and the resultant pollution to the tribunal within 6 weeks. The state govt requested that the NGT not hear the petition filed by Vedanta, and that the committee not be allowed to inspect the plant. The state govt submitted that since various teams from the TN Pollution Control Board (TNPCB) and other agencies have inspected the premises and have concluded that there was sufficient evidence that the plant causes pollution in the nearby areas, there is no need for another committee to investigate it. However, both requests were denied by the apex court. Andhra Pradesh Groundwater levels see a dip in Visakhapatnam in comparison to 2017 This was primarily attributed to the dry spell during the first two months of southwest monsoon in the district. Even though the district witnessed a good spell of rains in Aug, it could help the district only to some extent. Visakhapatanam district registered about 542 cm rainfall against the normal 554 as of Sept. 6 from the start of the southwest monsoon. Apart from the decreased rainfall, exploitation of water resourc3s and increased constructional activity has been leading to this phenomenon. Despite the decreased groundwater table in Vizag, Yeleru reservoir gradually fill to its brim can be a blessing in disguise for the residents of Vizag city. For the 1st time after 5 years, it touched the 82.5 m range in Sept itself. The state govt has approached the Madras HC seeking quashing of the Centre’s Groundwater Quality report’ which claimed that Sterlite Copper Industry located in Tuticorin alone cannt be blamed for high pollution levels of groundwater in the area. Rajasthan Is Jaipur idea to lift water from Chambal sustainable? 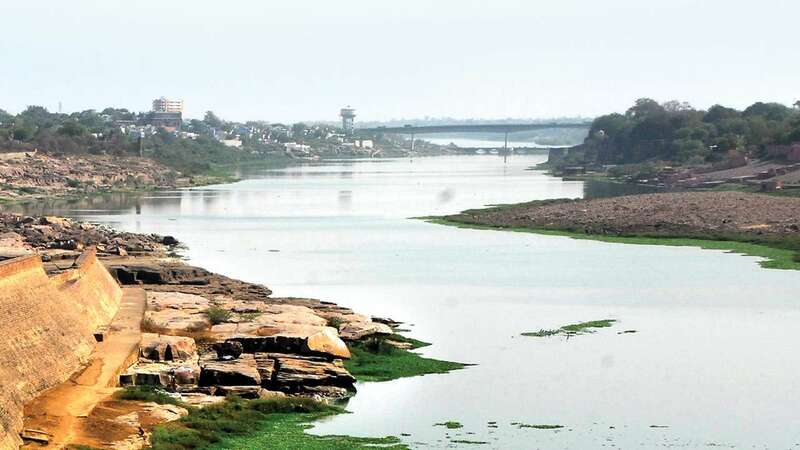 Amid growing water scarcity, it is being thought that the additional water can be lifted from the Chambal river to supply in Jaipur and other cities when the water in Bisalpur becomes less. However, environmentalist claim that it would be a bad move to rely heavily on a river that is rain-fed and which in the current monsoon has not received a good amount of water. National NGT directs CPCB to monitor industrial waste discharge NGT has ordered CPCB to devise a mechanism to continuously monitor industrial waste discharge in all states and union territories (UT). The NGT has also asked the CPCB to appoint a nodal officer for this purpose to work in tandem with a representative of MoEF & CC to monitor issues like functional effluent treatment plants, establishment and proper functioning of Common Effluent Treatment Plants (CETPs) and taking action against erring industrial units and put the same on public domain. Drug firms in India manufacture a large proportion of the world’s antibiotics and studies have shown that surface water and groundwater sources in areas near factories contain high levels of pharmaceutical pollutants. If these enter animals and humans it can lead to antimicrobial resistance (AMR), which studies have said is behind about 700,000 deaths globally every year. The link between antibiotic waste and the rise of AMR was recognised by the European Commission in 2001 but nothing has been done since then to stop drug firms polluting the environment, added Dr Maghear. A team of scientists who investigated water pollution in Hyderabad, the centre of India’s drug manufacturing industry, reported high levels of antibiotics from the fluoroquinolone class of drugs. Ban immersion of idols in Bhavani canal, say farmers Farmers have come out against the district administration for allowing immersion of Ganesha idols in lower Bhavani project (LBP) irrigation canals, saying it will lead to pollution. “The administration had allowed the immersion of Vinayaga idols in LBP main canal in Thittuparai near Chennimalai two years ago when there was water. It resulted in pollution. But the authorities did not bother about it,” president of the LBP Farmers’ Welfare Association S Nallusamy said. “Though the govt had issued guidelines on making eco-friendly idols, they were not followed. The idols would have chemicals and many of them would be made of Plaster of Paris. There is a high possibility of the district administration choosing LBP main canal for the immersion since it had done it before. Stating that immersion of Ganesh idols in Lower Bhavani Project (LBP) canal will lead to water clogging, Tamil Nadu Swadeshi Farmers’ Association has urged the district administration not to allow the immersion in the canal. In a petition submitted to Collector C. Kathiravan, its president K.V. Ponnaiyan said that though water was released in the LBP canal on Aug 1 for carrying out irrigation in 1.03 lakh acres in Erode and Tirupur district, the water is yet to reach the tail-end farmers. lso, the water is inadequate in other areas as farmers cannot cultivate paddy in their field. On Sept. 11, District Collector C. Kathiravan has warned against immersing Vinayaka idols in Lower Bhavani Project canal and Kalingarayan Canal that supply water to farm lands and asked people to immerse the idols only in River Cauvery in the district. In a press release issued here, the Collector said that action would be taken if idols were immersed in canals meant for farm activities or in places other than the permitted locations. Delhi NGT directs oversight panel to monitor restoration of wetlands in Dwarka The green tribunal has directed an oversight committee headed by a former high court judge to monitor the issue of restoration and revival of wetlands in Dwarka sub city hear after an environment activist sought the green panel’s intervention in the matter. A bench headed by NGT Chairperson Justice Adrash Kumar Goel said reveival and restoration of the water bodies is necessary for recharge of ground water. Good rainfall boosts kharif-sown area Latest sowing data, released by the agriculture ministry, shows that the increase in sown area as compared to 2017 is mainly marked by higher acreage of paddy (rice) and oil seeds. Though the acreage of pulses and coarse cereals continue to be less than the last year’s corresponding sown area figures, officials believe that the acreage of these crops too will improve as farmers still have two to three weeks of sowing operation this season. Figures show that the total sown area under kharif crops stand at 1,041.65 lakh hectares (LH) as of last Friday as compared to 1,039.57 LH during the same period last year. Though the country as a whole reported 7% deficit in cumulative rainfall, the gap in central and northwest India narrowed during the period. The highest deficiency (24% deficit) was recorded in eastern and north eastern India. The south peninsula, on the other hand, received 2% more rains than the normal, while central India and northwest India recorded deficit of 3% and 2%, respectively. Cabinet approves hike in ethanol price by 25% The Union Cabinet approved the hike in ethanol price by 25%, media reports said. This move is expected to help the sugar mills divert their production to the manufacturing of ethanol from sugar. The sugar industry has witnessed a crash in sugar price due to over-production recently. India’s sugar production in the coming 2018-19 season, which starts next month, is likely to be 0.7-0.8 million tonnes less than its estimated total, because of govt’s decision to incentivise the production of ethanol from intermediary molasses and sugarcane juice. Though the drop compared to the estimated 35.5 million tonnes of sugar production looks miniscule, industry players say this is just the beginning and more quantities would get diverted over the years as mills add new production capacities. SANDRP Blog The River, Her Bounty and Fury: The Sakura and Tokyo FASCINATING Guest Blog by Aparna Datar. Connecting the beautiful FAMOUS Sakura flowers of Tokyo and Japan, the rivers, the traditions and the flood vulnerabilities. Chile Native Community Fights to Defend Their Sacred River From Dam A Nat Geo explorer navigating the rapids of the San Pedro River in Chile also encountered Mapuche stories about the sacred waters during his journey. The river is now being threatened by a dam. Research Scientists working on green water treatment In early Sept, after a year and a half of research, a trial setup was launched of Aquafarm which could lead to the first biological water purification within four years. 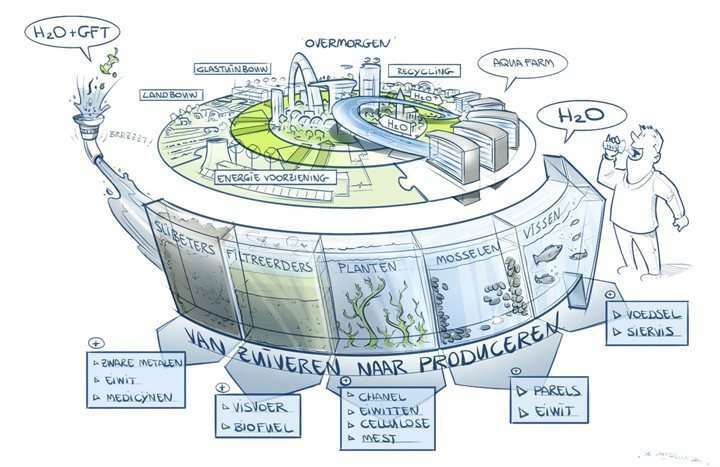 In an Aquafarm, aquatic plants and animals remove waste products from the water. This leads to cleaner water that complies with the European directive for natural water. In addition, natural water purification can be combined with the production of raw materials, such as proteins and fats. Texas Elpaso will start drinking its own sewage It’s possible, a few decades from now, humans living in water-scarce places will find it ridiculous that we spent centuries just flushing away our watery sewage. The idea of a closed-loop water system, in which we drink, expel, treat, and then drink again, is not new. Kansas Residents drank contaminated water for 6 yrs The state of Kansas failed to act on tests showing that groundwater in a Wichita suburb had been contaminated, allowing hundreds of residents to use tainted water wells for more than six years, before taking action. The state discovered chemicals in the groundwater on a property that formerly housed a dry-cleaning service in Haysville, outside of Wichita, in 2011. But the Kansas Department of Health and Environment (KDHE) waited six years before investigating the troubling findings, an in-depth report published by The Wichita Eagle has revealed. Incredibly, the department did not even bother to test nearby private wells or inform locals that their water could be contaminated. The KDHE has a poor track record when it comes to following up with groundwater tests. The department found tainted water in a similar incident in 2009, but chose to wait until 2014 before testing nearby private wells. Australia Adani groundwater bores investigated amid claims they were sunk without approval The Queensland environment department has launched an investigation into a series of groundwater bores drilled by Indian miner Adani, which conservationists say were sunk without approval. Report Half the planet should be set aside for wildlife – to save ourselves If we want to avoid mass extinctions and preserve the ecosystems all plants and animals depend on, governments should protect a third of the oceans and land by 2030 and half by 2050, with a focus on areas of high biodiversity. So say leading biologists in an editorial in the journal Science this week. Study Wind, solar farms could bring rains to Sahara Desert The study, published in the journal Science, is among the first to model the climate effects of wind and solar installations while taking into account how vegetation responds to changes in heat and precipitation. Haryana SC orders all post-’92 bluildings in Aravali’s Kant Enclave razed The court set a deadline of Dec.-end to clear the land by demolishing all structures. It also imposed a fine of Rs 5 crore on the company which claimed to have invested Rs 50 crore in developing the area. In view of large-scale environmental degradation in the Aravali and Shivalik hills, the state govt in August 1992 declared the area as forest land under the Punjab Land Preservation Act. The SC came down heavily on the Haryana govt for turning a blind eye to the ecological degradation of the Aravali hills over the years and “conniving” with real estate developers to allow them to exploit the protected zones for commercial gains. Expressing concern over “irreversible damage” to the environment and ecology of the Aravali hills due to construction, the apex court said the company was brazenly flouting the law in connivance with the Haryana town and country department despite the reservations of its forest department. It also allowed them to file suits against the company and the state govt for enhanced compensation in view of their large investments. Delhi 5 killed while cleaning tank in basement of West Delhi DLF complex 5 men aged between 18 and 30 years, died Sept 9 evening after inhaling poisonous gas while cleaning a sewage tank at a residential complex in West Delhi, police said. According to police, the incident occurred at the P tower of DLF Capital Greens residential complex in the Moti Nagar area, where the five were engaged in cleaning the tank that was about 30 feet deep and located in the basement. It is surprising that 3 govt agencies — the labour department, Delhi Jal Board (DJB) and the municipal corporation — suggested they had no role in ensuring the safety of such private workers. According to a co-worker of one of the deceased, the workers were forced to clean the sewage tank even though they had no prior experience of the work. The tragic incident has exposed a gated residential community to charges of apathy and failure to provide basic safety equipment to the workers. Magsaysay award winner Bezwada Wilson & other concerned visited the society and found the workers were not provided the basic equipment like plastic shoes, mask and gloves. Wilson said 1,876 people, including 96 in Delhi, have died while cleaning sewer lines in the past five to six years. We have not yet discussed, but I am not sure it will help. We may discuss when it does come before Parliament.